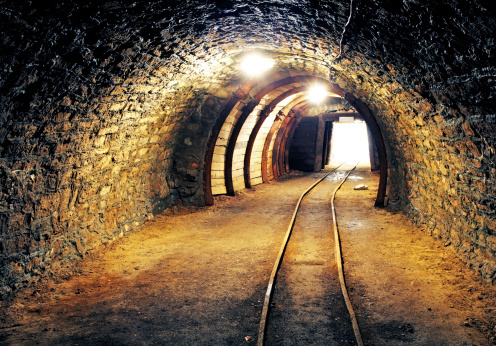 For investors in frontier markets, the development of Newmonts new Merian gold mine may signal the start of yet another potential investment opportunity. For investors keeping tabs on frontier markets, the development of the new Merian gold mine, by Newmont Mining Corporation in Suriname, may signal the start of yet another potential investment opportunity. Not only does the mine bode well for Suriname’s economy in the medium-term (the $1 billion investment is likely to double the country’s industrial gold output by 2016, at a time when production is expected to tail off as existing mines reportedly reach maturity), it’s also likely that the South American nation’s government will finance the 25% stake it can take in Merian through a potential $200 million syndicated loan. The issue would be Suriname’s first commercial sovereign borrowing and would be backed by revenue streams from the mine. Details for the potential syndicated loan are not yet finalized but the issue could prove interesting to frontier market investors looking for new opportunities, particularly since the political commitment to the Merian project is strong and significant preparatory work has been undertaken by Newmont to ensure that the mining project takes off, said Cesar Arias, associate director for Latin America at Fitch Ratings. If Suriname plays its cards right, then, the Merian gold project may well secure the country the footing it needs to continue along the path of becoming a market economy. Suriname’s economy has been funded to a large degree by exports of the mineral bauxite but the government has been slowly making moves to take advantage of its other commodity reserves, namely oil and gold. The shift toward gold mining and the Merian mine’s role in that are particularly important. Not only will the result in new gold supply, it will also help to bring about a better balance between industrial mining and informal mining in Suriname, Arias said, and this will benefit both Suriname’s mining sector as well as the economy overall. “Informal mining doesn’t give a lot of royalties – it isn’t very efficient and it has an impact on the environment,” Arias said. “Suriname has been trying to have a more balanced distribution between informal mining and industrial mining for years. Of course, these things take time, but Newmont is coming in at a good time and it’s one of the top mining companies in the world, so this seems like a win-win situation.” Prior to its association with Newmont, Suriname’s industrial production relied exclusively on Canadian company IAMGOLD, “but the government knew their mines were going into maturity and they needed a plan to develop new gold reserves,” Arias said. Being able to take advantage of the low interest rate environment and the higher risk appetite of many investors looking for attractive yields bodes well for frontier markets like Suriname. “The opportunities to tap the capital markets for countries that haven’t been on investors’ radar screens have grown – it’s been the case for Cote D’Ivoire, Ecuador, Paraguay, Bolivia and others, and now, it could be Suriname’s turn to tap the syndicated loan market for the Merian mine project,” Arias said. According to Daniel Broby, CEO of specialist investment firm GEMFonds, the pick up on frontier market bonds is significant (albeit that relative illiquidity is the trade off for the higher yields), with syndicated loans and local currency debt offering an even greater pick up. “The frontier space, though, is one where you really do have to read the covenants, the collective action clauses and be sure there is the ability to service the debt,” he said. Tapping into the international loan markets will be an important step for Suriname. The loan terms will be tailored to match the expected cash flows of the Merian mine.. “Suriname has a good reputation and it hasn’t shown any signs of resource nationalism, which in other countries has increased nationalization and contact renegotiation risks,” he said. For its part, Newmont is ready to go ahead with the Merian mine. The company has been exploring in Suriname for a decade, said Omar Jabara, Newmont’s spokesperson, and has a good relationship with the government. “Suriname is keen on attracting foreign direct investment and from a geological point of view, Suriname has good opportunities for gold mining,” he said. Despite the challenges the mine presents the need for proper infrastructure, the need to find skilled mining talent, the need to remain sensitive toward the environment and the need to manage the expectations of what the project can deliver. “We want to ensure that we encourage local community development as well as help in economic development for the country,” Jabara said. The global commodities market also presents a challenge and gold is one of the most volatile commodities.